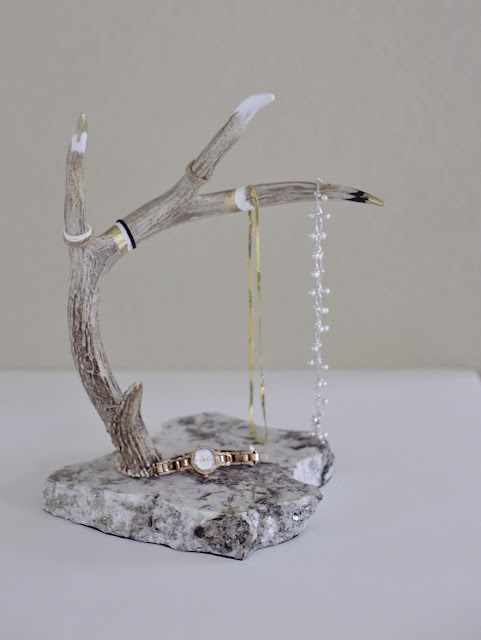 This project was for a styled shoot that I collaborated on with my daughter. The theme was "Mommy and Me". 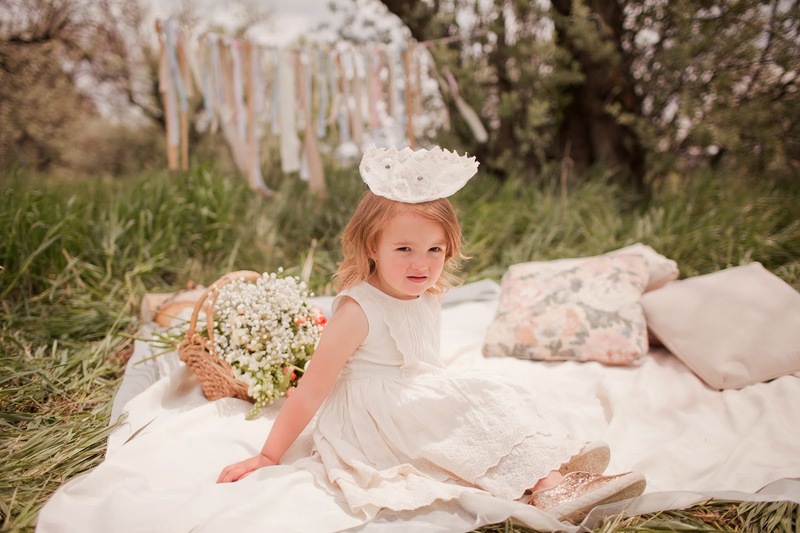 To make the photo session(s) atypical and really special, we "styled" the shoots to add some fun for both Mom and child. We wanted to create a storybook setting unlike any other photographs they had ever taken. We used the beauty of the outdoors and created an intimate picnic type of setting, including props (e.g., hairbands, crowns, boas, hats, mustaches) to offer some variety in the pictures; a pseudo outdoor photo booth if you will. We also put together a backdrop using long strips of fabric....as you can tell we were going for a mostly neutral color palette for the day; just a hint of some subtle yellow, pink and blue. I'm sharing with you some of the hair accessories that I made. My daughter had purchased a couple of fabric covered hairbands and asked if I could make some embellishments for them. She showed me a couple of pics of what she was thinking and I raided my fabric/lace/trim scraps to come up with something unique. For the fabric flower....again, I used several different fabric scraps and made a flower that I hot glued to the headband; this was a larger version of the lapel pin that I made last year. We also made some crowns of varying sizes and shapes. My daughter came up with the idea of using lace for the crown itself; she coated the lace with a couple layers of ModPodge to make the lace stiff (very clever!) and then handed it off to me to add some "jewels". These were a combination of assorted buttons she had purchased and some pearls and rhinestones I already had on hand. Those were a true "tag team" effort and are oh so cute! Finally, I made a flower wreath....all but two of the sessions was Mom and daughter(s), so we went heavy on the fru fru. But our little boys had their own kind of fun that day--all kids find a way don't they? Making the hairpieces was a kick in the pants since it was just a potpourri of goodies blended together to make a vintage inspired look. The shoot itself was so much fun. I played stylist that day while my daughter snapped away capturing one-of-a-kind images that every Mom would cherish! This is the third styled shoot we've collaborated on.....and we get so excited, we're generally talking about what to do next while we working on the current version; the creative juices are just flowing. In fact, we've already got the next idea formulated for November! Be sure to check out KB Digital Designs facebook page in the upcoming days to see some of the pics from the day. I think it's ironic the entire eight years we lived in Seattle, I just couldn't appreciate or even find a cooking method that allowed me to enjoy fresh salmon. It just seemed like such a strong fishy flavor to me. I guess I never experimented enough while we were there, because I so enjoy blackened salmon today. In fact, it's my all time favorite way to prepare/eat a salmon fillet. I saw a recipe not too long ago though, that I decided to try for variety sake. It's a pecan encrusted salmon..
We gave it a try this past weekend and I would give it 3 out of 5 stars. I enjoyed it, but it certainly didn't beat blackened as my top pick. Here's the recipe if you'd like to try it for yourself. Pre-heat oven to 400 degrees. In a small bowl, mix together the mustard, butter and honey. In another bowl, mix together the bread crumbs, pecans and parsley. Season each fillet with salt and pepper. Place fillet on a lightly greased baking sheet. Brush with mustard-honey mixture (great flavor! ), followed by the bread crumb mixture. Bake for 10 minutes per inch of thickness, or until salmon flakes when tested with a fork. Serve garnished with lemon wedges (I'm not a fan of the lemon so I left this step out). Some of the honey/dijon mixture pooled onto the baking pan during the baking process, so for future I might reserve a little and/or make a bit more to drizzle on top after the baking process. Thanks to www.AllRecipes.com for the idea. Enjoy! A few months back I spotted some large buttons in the home decor section of Hobby Lobby. They were in with other items for a little girl's room.....but they screamed to me of a great addition to my sewing/design area. I had made (my husband was a great help) some spools of thread back in 2012; I also painted and put my logo on a pair of large wooden scissors about the same time frame...... so of course, it only made sense that I should have a pair of extra large buttons to match! This looked like a project that was right up my husband's alley. He is very skilled at woodworking, plus he enjoys it. So, I showed him the picture I took on my cell phone when I was in the store and he enthusiastically, graciously, willingly said he would/could make me a couple. Yay! I snapped a few pics along the way to share the project with you. 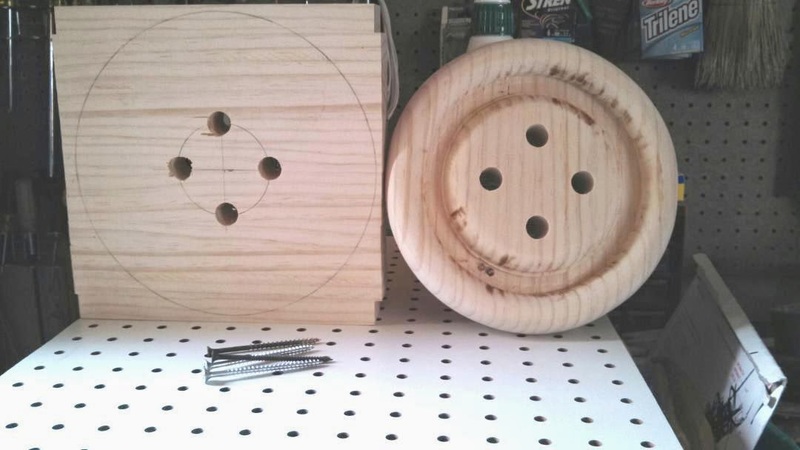 Since there wasn't anything pre-made that measured a 10" diameter wood circle at Lowe's or Home Depot, he chose to create his own. This meant cutting and gluing together several 2" pieces of wood. cussing and multiple trips to Home Depot for different drill bits and other sundries along the way.....but, for me....it's just what I wanted. He is very much like me when I sew....a perfectionist! So, he wanted to do this, that and the other to make it super perfect. But, I thought they looked great and I really appreciate them even more knowing they were made by hand. My contribution was to select and purchase the spray paint colors and add the cording to make it appear as if it they were sewn onto the wall. They look cute....and they compliment the other knick-knacks that make my area my own. Love it! Love you. Thanks babe! It's finally starting to feel like summer around here. So, what's better than a grilled steak, salad, a glass of peach sangria and dining on the back patio? In a pitcher, combine peach, nectarine, and apricots all pitted and cut into wedges. Stir in brandy; let sit at least one hour. Stir in prosecco, peach nectar and triple sec. Add superfine sugar, if desired. Serve chilled. I learned what Prosecco was in my adventure to the liquor store. I was also told unlike some other varieties of wine, the drier the Prosecco, the sweeter it is. Good to know! I decided to add the Triple Sec after I gave it a taste, since I thought it could use a hint of citrus. Now maybe I could have done that with orange juice, or bits of oranges....but triple sec sounded a lot more fun!